Join us for a high-level, LIVE webinar hosted by one of our energetic Community Managers! 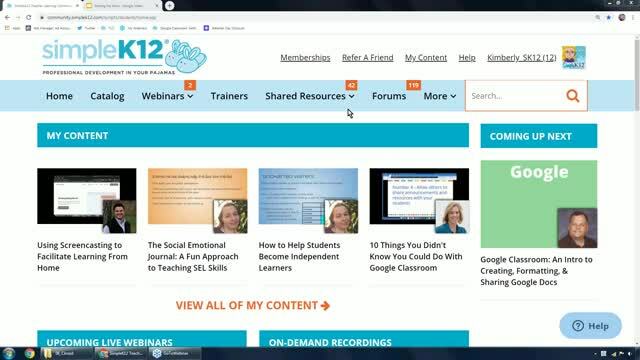 Get a personal tour of the Teacher Learning Community and learn how to get the most out of your membership. We will walk you through everything you need to know so that you can quickly get comfortable with the site. Whether you are a new member wondering where to get started, a longtime member looking for a refresher on everything the site has to offer, or a potential member simply checking us out - we've got you covered! This webinar is open to everyone. Bring your questions and suggestions! This is a great time to connect with us and get your questions answered LIVE. 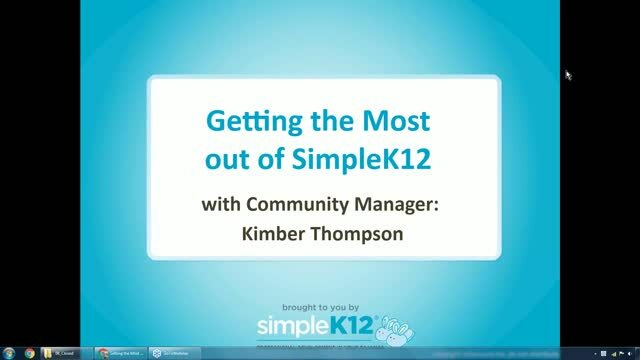 We will host "Getting the Most from SimpleK12" every Wednesday, so you can jump in any week that works for you. Hope to see you there. 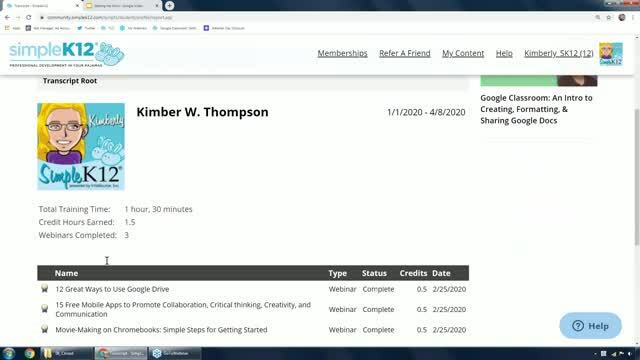 This webinar helped a lot. Thank you! Thank you. Very helpful. I needed some clarification on a few areas. Thank you! That was very helpful in getting acquainted with the features of the site. The information was well-presented, very clear, and easy to follow along on my own "live" profile at the same time. 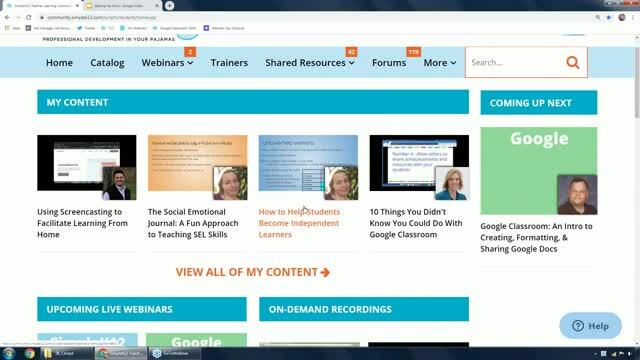 I'm looking forward to using this amazing resource as I develop my skills as a STEAM consultant/trainer/instructor! Quick, useful tour of the site, which will hopefully lead to maximum professional benefit. Thanks....I needed some clarifications on some of the icons. 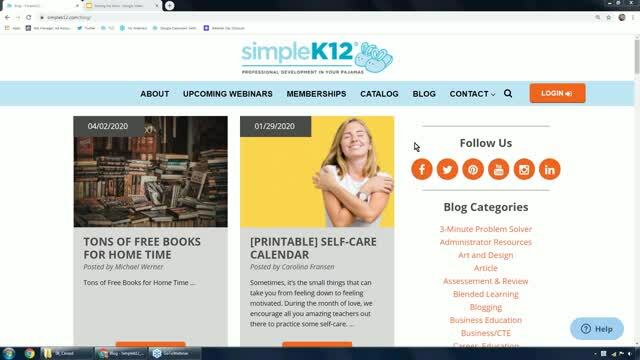 Helpful for learning how to use SimpleK12. The information was very beneficial and detailed on how to use my membership! Thanks.